Jaisalmer is a beautiful city in the heart of the mighty Thar desert. Named after its founder Rao Jaysal, Jaisalmer means ‘The Hill Fort of Jaisal’. It is aptly called ‘The Golden City’ because of the yellowish-golden tinge the sand bestow upon the city. The city was founded in 1156 by Rawal Jaisal. As early as the thrirteenth century, the city was captured by Emperor Ala-ud-din Khilji. The city lay abandoned for a long period of time. In the eighteenth century, the city touched great heights again during the reign of King Rawal Sahal Singh when he accepted the supremacy of the Mughal Emperor Shah Jahan. 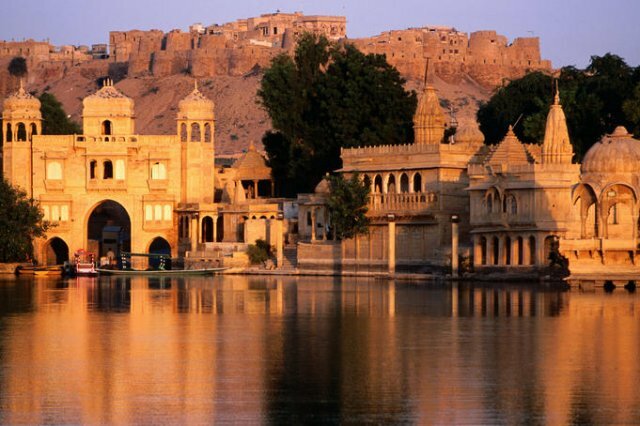 Jaisalmer was one of the last states to sign a peace alliance with the British and became a princely state. After Independence, it merged with the Indian state. Jaisalmer's medieval mud fortress and walled township make it a popular tourist destination. Tourism is the mainstay of the city’s economy. Musicians and dancers are major cultural exports to the rest of the world. As a matter of fact, Manganyar musicians of Jaisalmer have displayed their skills and won hearts around the world. Jaisalmer is also known for its leather messenger bags. These bags are made from wild camels that are found in the region. 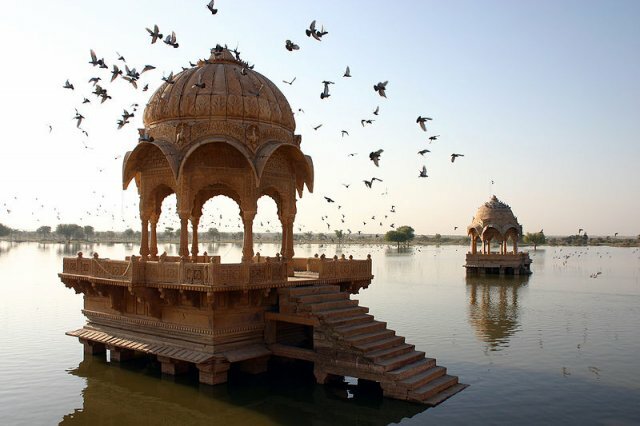 Jaisalmer is famous for embroidery, Rajasthani mirror work, rugs, blankets, antiques and old stonework. Remember to pick up some of these as souvenirs for your loved ones! The city has a rich culture that boasts of unique dance and music forms. It has a tradition of bards that sang tales of the heroic deeds of kings. These ballads are called ‘Rasos’. The folk dances are a lively sight with gaily dressed balancing a column of brass pots on their heads, swaying to live music. Puppetry is a traditional art form and is used to convey the epics, folk tales and social commentary. 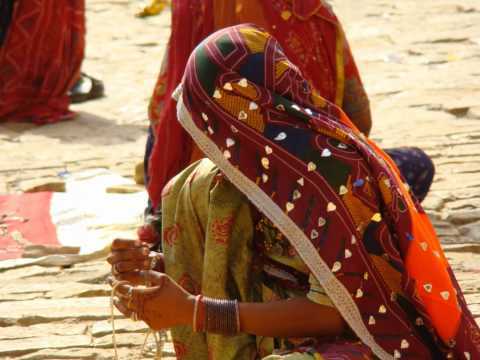 You can experience the rich culture first hand during the Desert Festival of Jaisalmer. Held every February, it sees a host of cultural events, camel races, turban tying competitions, musical performances by folk singers. The ideal time to visit Jaisalmer is from October and March. 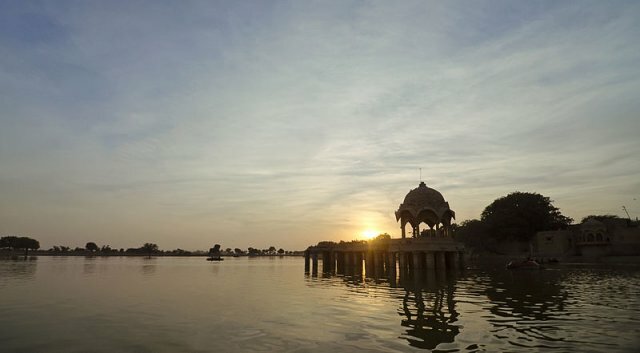 Jaisalmer gets very hot in the summers and temperatures routinely touch 42°C. Winters in Jaisalmer are a lot cooler with day temperatures rarely exceeding 24°C. Jaisalmer Fort - Built in 1156 by the Bhati Rajput ruler Jaisal,this fort is situated on Trikuta Hill. Its sandstone walls are a sight to behold! This fort saw many a battle in its heyday and is now a living fort. About a quarter of city's population still lives inside the fort. Do remember to visit the magnificent Raj Mahal Palace, the Jain temples with intricate carving and the lovely Laxminath temple inside the fort. Patwon-ki-Haveli – Jaisalmer is home to many an ornate haveli. However, the largest, most magnificent, and the most elaborate of Jaisalmer havelis is Patwon ki Haveli. Built by Guman Chand Patwa, a wealthy Jain banker, this haveli draw tourists in hordes. This ornate five-storey complex took fifty years to complete. Jain temples – Jaisalmer has many beautiful Jain temples, the most notable are those dedicated to Tirthankar Lord Shantinath and Tirthankar Lord Parshvanath. The stunning architecture and the intricate carving on the pillars make these temples very popular with tourists and pilgrims alike. Desert National Park – Spread over 3162 km², this is one of the largest National Parks in India. Sand dunesconstitue 20% of this Park. Craggy rocks and compact salt lake bottoms abound. You can find exotic species of migratory birds here. For the geography buffs, there are fossils of animals and plants that are 180 million years old!